ETSU knows how to party! 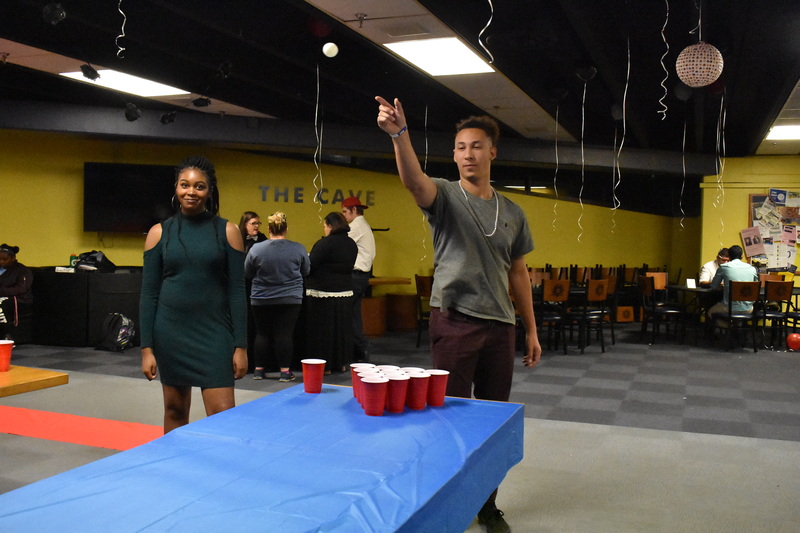 On Wednesday, Nov. 1, hundreds of students gambled and bet in the Cave at ETSU. 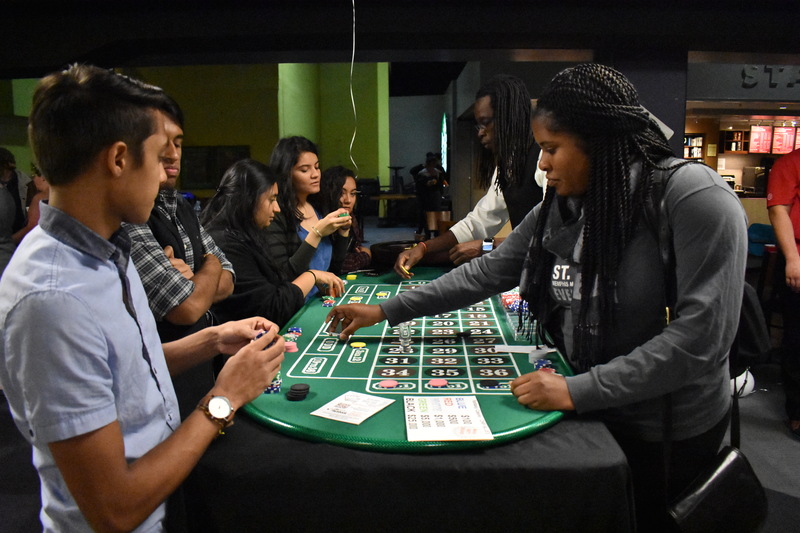 Nov. 1 marked the fourth-annual campus Casino Night. This event has been provided each year by the hard work and sponsorship of several campus organizations. The groups involved included The Hispanic American Students Community Alliance (HASCA), Black Affairs Association, International Student Association, South Asian Cultural Exchange, the Office of Cultural Diversity and of course, Buctainment. The Cave was completely filled with students “gambling” on blackjack, spades, roulette and poker. Each player who signed up was given a token for 2,500 chips which could then be divvied out at any of the playing tables. The goal of the night was to win at least $10,000 in chips over the starting balance of $2,500 in order to receive a ticket. For every additional $10,000 a player won, they would receive another ticket. The tickets were placed into a raffle drawing at the end of the night, and the prizes were savory. Up for grabs were gift cards to Chick-Fil-A and BP gas cards. The grand prize was a Visa gift card for $100. Casino Night also included an opportunity to learn some new dance moves, to practice old ones, and to revel in hilarity by wearing funny hats in the photo booth. The photos were free and printed on the spot. Buctainment and HASCA provided a wide array of non-alcoholic beverages. I personally made sure to enjoy some refreshing horchata over ice. The event was, above all, a learning experience for students. 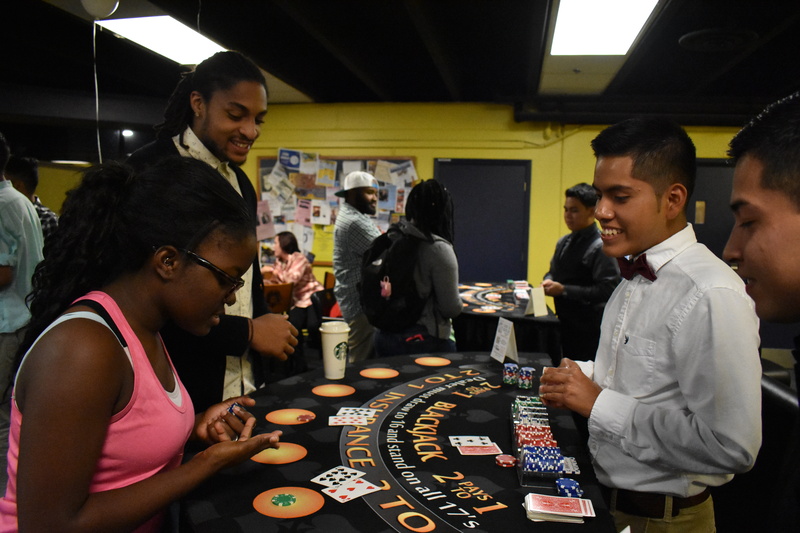 Casino Night allowed students to learn the ins and outs of dealing cards as well as how to practice safe betting. I even found myself learning the rules to blackjack quickly despite my utter deficiency in mathematics.